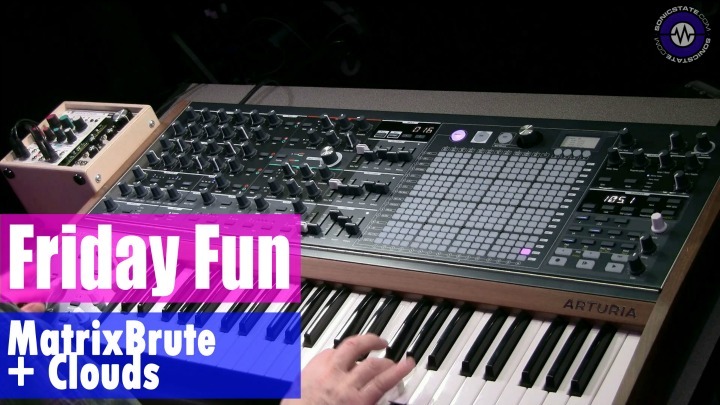 Arturia's Brute range started with the MiniBrute (see our review) and kind of blew the price/feature rules out of the window for an analog synth at the time. It was also a great synth, with plenty of character. Since then, we’ve had the microBrute - even more affordable and the massive MatrixBrute - not much, but impressive. Now Arturia have released the MiniBrute 2 and 2S which take the basic building blocks of the earlier synths and refine, tweak and enhance. 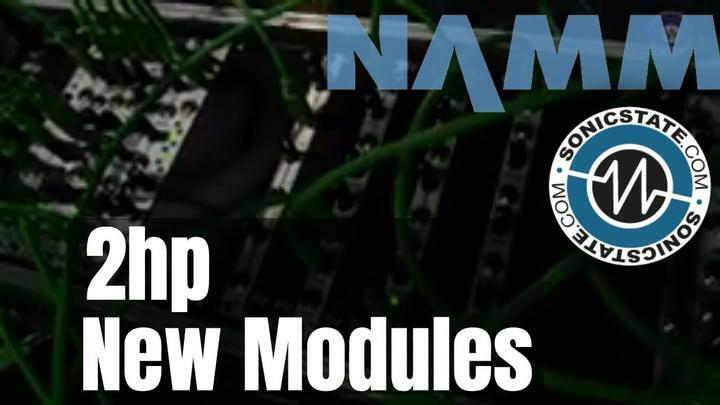 They’ve also added a second VCO, way more comprehensive patchbay and a Keystep type sequencer on the 2, or a 4 track, more comprehensive sequencer on the 2S. At the core of the MB2, are the oscillators, Steiner Parker filter and the Brute Factor - these remain largely the same, but have been refined with a more mellow tone to them - there’s a second oscillator with switchable waves (sine, ramp, square) but with switchable range - fine (+/-13 semitones), All (wide tuning) and LFO - this Oscillator is hard wired to FM OSC 1 too for some handy FM action. Probably the most notable difference is a smoother more mellow Metalizer (wavefolder) on the TRI wave. Gain structure is also different, with aggression kicking in a little later in the VCA and VCF. The BruteFactor also has a gentler effect until you get to 50% and up. In the keyboard version, the keyboard also has aftertouch, which can be routed to mod1 bus via a dedicated switch, though not accessed directly via the patchbay, as does the 2S with pad pressure. Build quality feels pretty good to me, no untoward wobbly bits or scrappy finishes. 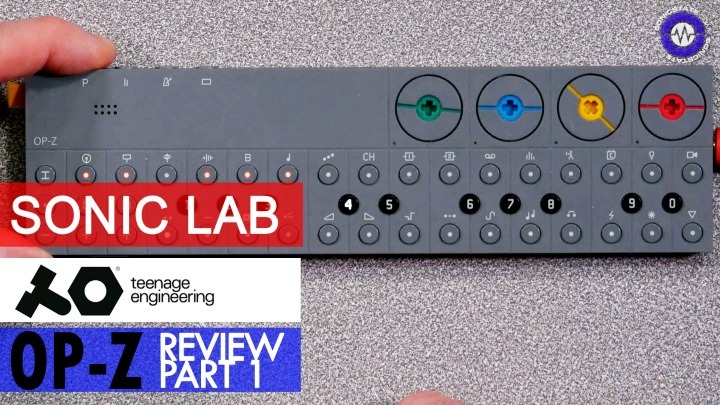 Like the MiniBrute, the MB2 has two envelopes, though the VCA envelope has been cut down to an AR style, but with Gate and Trigger modes which essentially makes it an ASR, It also loops way into audio rates. They really went for it here, you get plenty of patching possibilities, though I for one missed a mult - I guess you can always use stackable type patches, though you do get 8 included cables to get you going. This modular aspect now takes you into MS20 type territory, though more business like. I like the choices they have made here and you can get into seriously messed up territory. The MiniBrute 2 features a Keystep type sequencer - with Gate/CV/Velocity, up to 64 steps, and 8 storage slots as well as the same arpeggiator mode. It's not polyphonic though, but it also means you can't get paraphonic patches setup without some external gear. Simple and effective like the Keystep. The 2S however, really opens things up, you lose the keyboard (replaced by a pad style 2 octave range) but the sequencer is way more comprehensive - 128 pattern storage, pattern chaining (on the fly), assignable velocity and pressure tracks, which can be set to 1v, 2V, 5V, 8V outputs, Envelopes, LFO waves, or quantized pitch - it's way more flexible and could be used at the heard of a modular rig to drive the main sequencing duties. 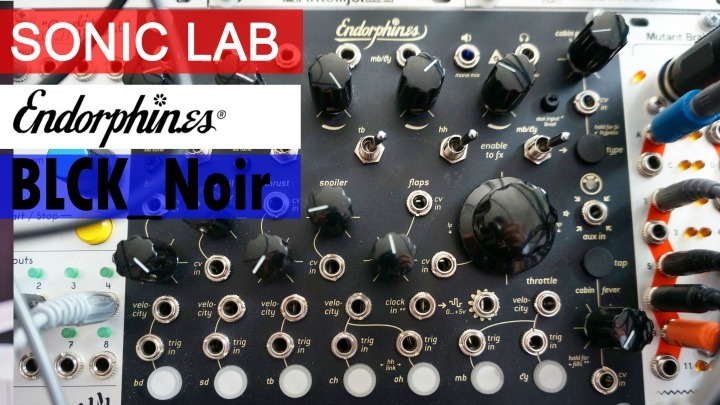 It's the same price, with the same synth engine but might suit your needs better. Both models feature the Arturia Link system - rails and fixings to combine Rackbrutes (3U or 6U) together with the MB2 and MB2S - it's quite elegant and comes with power enough to feed your modules. I think Arturia have improved on something that was already pretty decent, the original Brutes were harder to make them sound mellow, but the MiniBrute 2 offers more sonic range. It's still a compelling instrument and sounds really good, offering plenty of reasons not to get on with the review for me and just noodle and explore.